Euoplos sp. 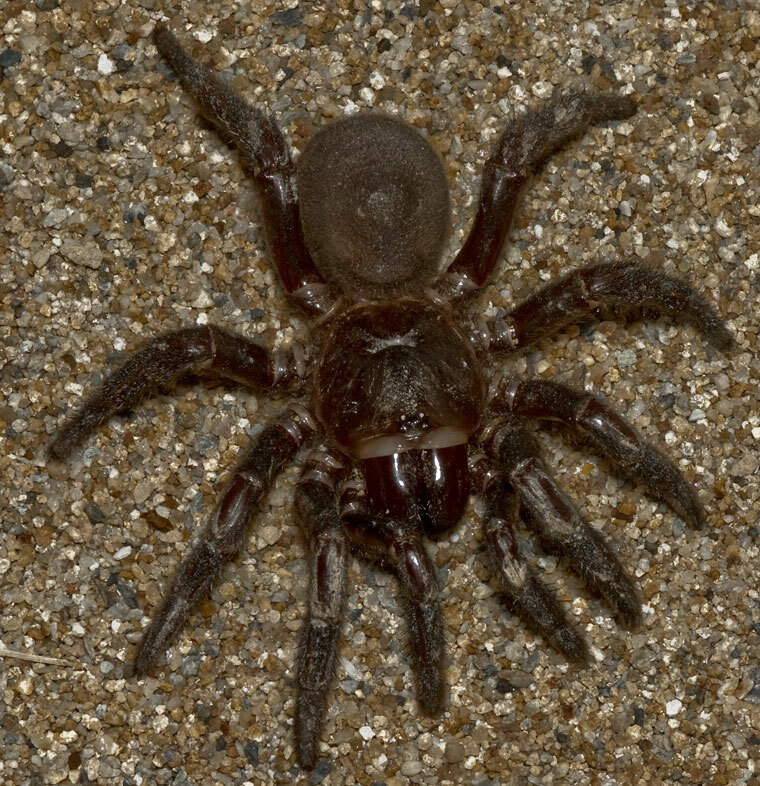 Loganlea is a golden trapdoor spider appearing less golden than some others in the golden trapdoor spider group, including those informally known as Euoplos sp. 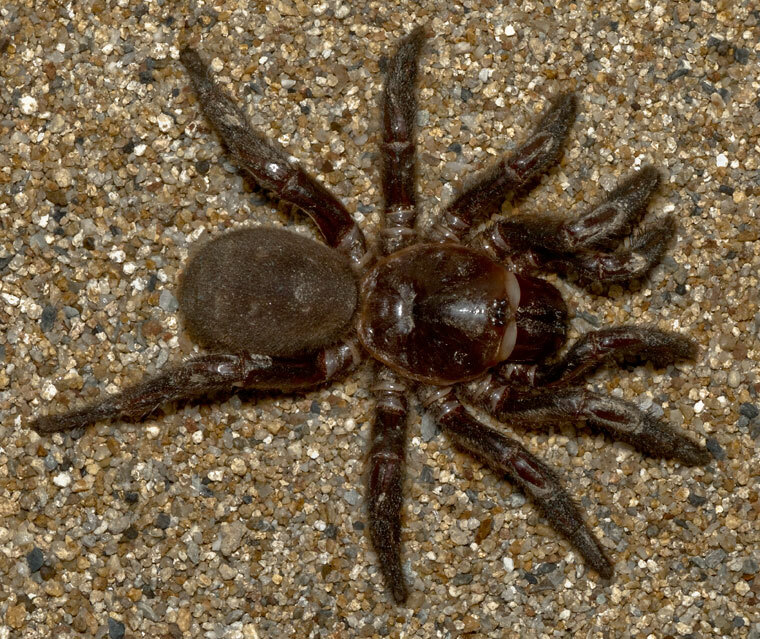 Golden Trapdoor Spider and Euoplos similaris the Brisbane Trapdoor Spider. Euoplos sp. 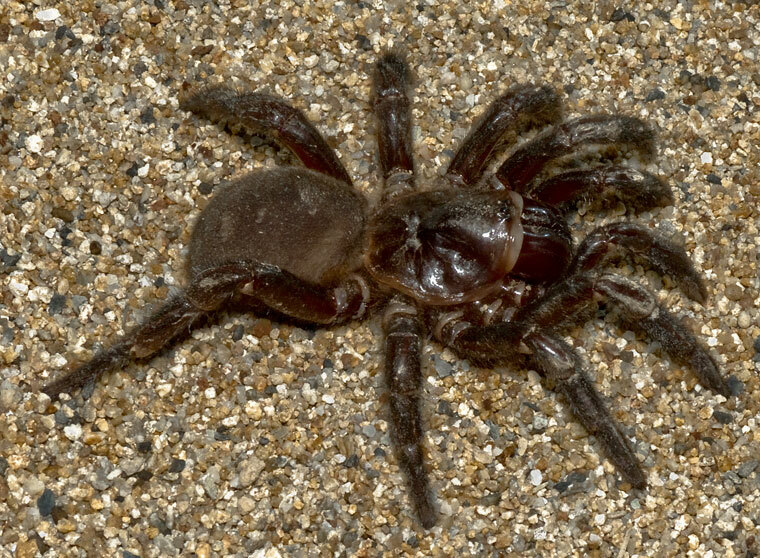 Loganlea is known as the Eastern Trapdoor Spider due to known populations east of the Brisbane River. It may well be more widespread throughout coastal areas of Quee4nsland, New South Wales and Victoria.